Man alive... what a movie to start with! 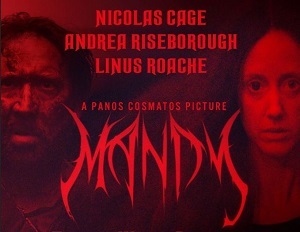 This was an insane film... tailor made for Nic Cage! This is the kind of project that he should have been looking for the last 5 years as he began to spiral towards the bottom of Hollywood's elite actors. But movies like this one, Drive Angry and The Wicker Man are exactly what Nic Cage should be doing. The visuals from Cosmatos are amazingly done, but teh star of the show here is the booming soundtrack from Johann Johannson, the legendary Icelandic composer who died last year making this his last score. It is an integral part of the movie, making for an epic pairing alongside Cosmatos's visuals.